Despite intense industry pressure and government corruption, Von Hernandez led the Philippines to institute the world’s first national ban on waste incinerators, a source of cancer-causing dioxins. 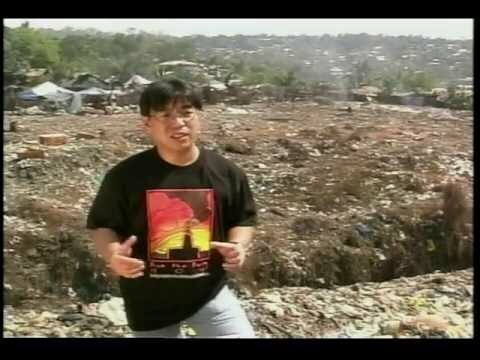 As one of Asia’s leading activists against waste incineration, Von Hernandez helped make history in 1999 when the Philippines became the first country in the world to ban waste incineration nationwide. Today, Hernandez is on the forefront of a heated battle to hold the ban in the face of government corruption and industry pressure. His work has been held up as a model for waste incineration activists throughout the world. Hernandez, who grew up in Manila, became active in the incineration issue while working as Asia Toxics Campaigner for Greenpeace International. While campaigning against toxic waste dumping by industrialized nations in developing Asian countries, Hernandez realized that it was not only hazardous waste, but also toxic technologies that multinational companies were exporting throughout the region. As polluting incineration technologies moved from the north to the global south, Hernandez saw a pattern of dirty technology transfer that would bring more pollution and human health problems to the Philippines and throughout the region. Waste disposal is a municipal nightmare in the Philippines. Every day the city of Manila produces 6,000 tons of garbage, much of which ends up in Hernandez’s hometown of Quezon City. Quezon City is home to Payatas, the region’s biggest dump and the focus of international headlines in 2000 when a rain storm caused the dump’s mountain of garbage to collapse, killing at least 300 people and destroying more than 500 homes. With waste incineration being touted as the solution to Manila’s waste problems, Hernandez and his allies jumped into action. They informed local communities that waste incinerators are the largest source of hormone-disrupting dioxins, one of the most toxic chemicals known to science. The incineration process produces ash with concentrated amounts of heavy metals, such as lead, arsenic and cadmium that, when buried, pollute groundwater for generations. These chemicals have been linked to birth defects, cancer, respiratory ailments and reproductive dysfunction among people who live near incineration plants. A recent report found dioxins in the breast milk of Filipino women who live near and work in the Payatas dumpsite to be extremely high—many times higher than the health limit set by the World Health Organization. 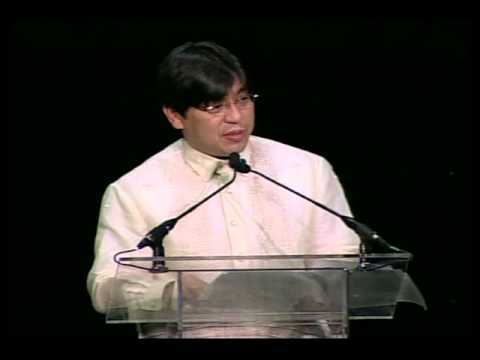 As the convener of the Philippine Clean Air Coalition and the Coordinator of Greenpeace International’s Toxics Campaign in Asia, Hernandez helped turn the incineration controversy in the Philippines into a national electoral issue in 1998. He helped organize mass protests, testified in hearings, and waged a national public education campaign in the media to draw attention to the devastating health impacts of waste incineration and to highlight proven alternatives to burning waste. Hernandez was instrumental in securing widespread support for the campaign, including the support of the Catholic Church, which commands enormous respect and authority in a country where Catholicism is the dominant faith. Because of his high-profile activism, Hernandez was routinely attacked in the press by incineration industry lobbyists and pro-incineration government officials, all of whom share a vested interest in sealing incineration contracts. Despite this opposition, Hernandez remains undeterred. His perseverance paid off when the incineration ban was approved in the Clean Air Act of 1999. But powerful members of Congress and local government officials, some of whom have documented ties with the waste management industry, worked furiously to have the ban repealed so that proposals to install mega-incinerators and landfills could move forward. Hernandez and his allies were dealt a blow when the Philippine Supreme Court ruled in favor of Jancom Environmental Corporation, a waste management consortium, and its plans to build a mega-landfill and a huge waste incinerator to service Metro Manila. While President Gloria Macapagal-Arroyo ultimately used her authority to reject the contract, the legal door was open, making the ban more vulnerable to attack. Meanwhile, international financial institutions like the Asian Development bank, the World Bank and the Japanese Bank for International Cooperation continued to promote incineration projects in the Philippines and throughout the developing world. In response, Hernandez led the charge to promote cleaner alternatives to waste incineration, including segregating garbage at its source, composting and recycling—methods that have been proven to create jobs and revenue for municipalities while protecting public health. Following the success of the campaign to ban incineration, Hernandez moved swiftly to create the EcoWaste Coalition and urge the Philippine government to adopt legislation that would manage and allocate resources to more sustainable methods of waste disposal. The Ecological Solid Waste Management Act was adopted in January 2001. Hernandez got to work with the coalition to push for full implementation of the incinerator ban and the Ecological Solid Waste Management Act. The campaign received a lift when President Arroyo named Elisea Bebet Gozun as the new Secretary of the Department of Environment and Natural Resources. Gozun, former president of Concerned Citizens Against Pollution and executive director of the Earth Day Environment Network, pledged to fully enforce the incineration ban and implement the Ecological Solid Waste Management Act. Hernandez has not limited his activism to his motherland. He was a rousing presence at the 2002 World Summit on Sustainable Development in Johannesburg where, together with local allies and the Global Alliance for Incinerator Alternatives, he held a Zero Waste forum that drew more than 100 environmental leaders from 20 nations. That same year, he was instrumental in organizing the first Global Day of Action Against Waste Incineration, which involved more than 125 organizations from 54 countries.